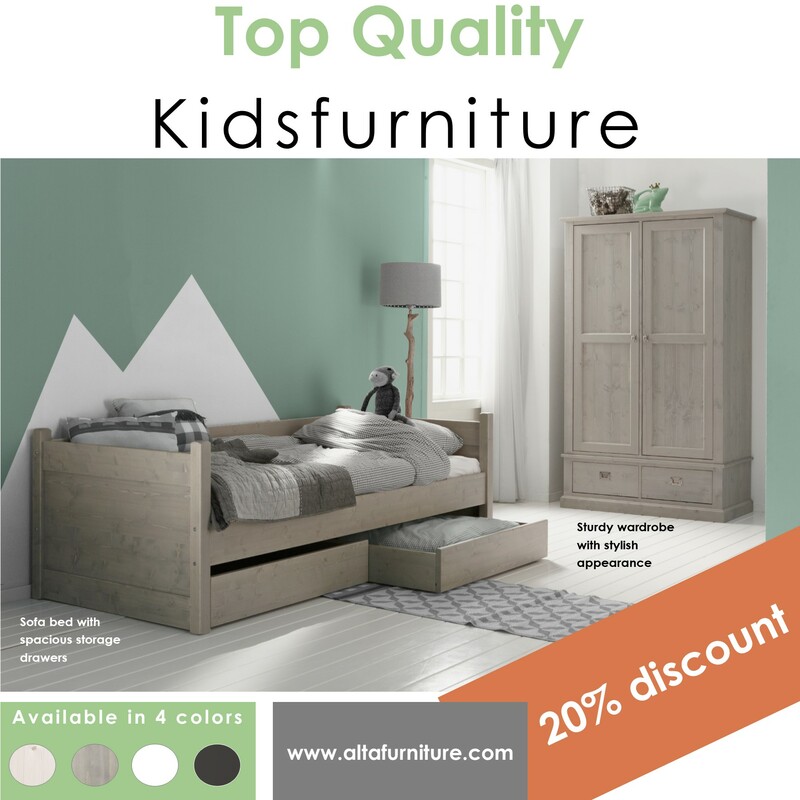 Alta Furniture is a Dutch furniture manufacturer specializing in the development and production of practical and ingenious children's furniture in a high quality. You can choose from 4 colors and different buttons and handles, so choose your own style; modern, rustikal or nostalgic. The Alta collection has been exclusively ordered directly from the factory since November 2018. This direct sale gives you an advantage of 20%. Visit our showroom 900m² in the Netherlands in Staphorst or order online through the webshop. We deliver and assemble throughout the Netherlands, Belgium, Germany, Switserland and Austria.